I think Carolina Chickadees are such stylish looking birds. 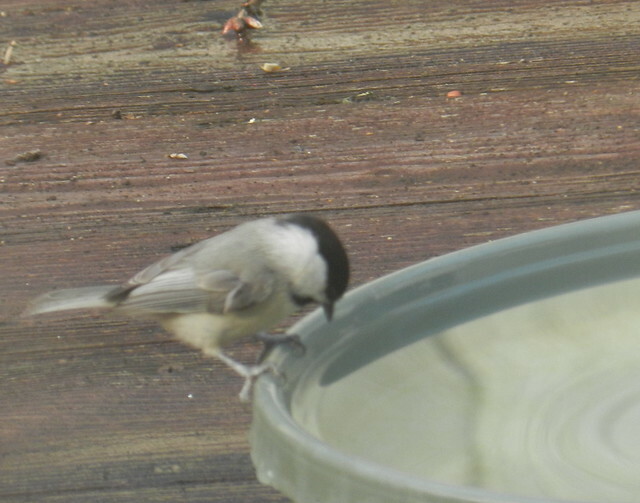 They look a lot like black-capped chickadees but according to the Cornell bird site: Carolina and Black-capped chickadees hybridize in the area where their ranges overlap, but the two species probably diverged more than 2.5 million years ago. 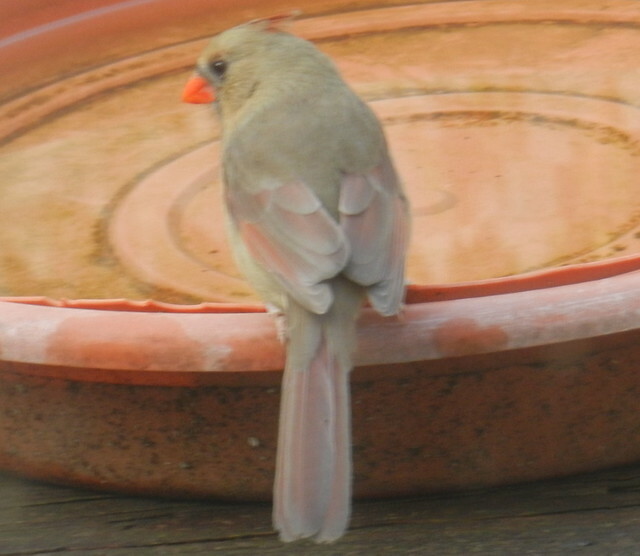 Above is Mrs. Cardinal considering a bath. We had a moderate rainy week but the cold descended for the weekend. I was glad that the rain cleared before it got cold again and we didn't get snow which was forecast at one point. 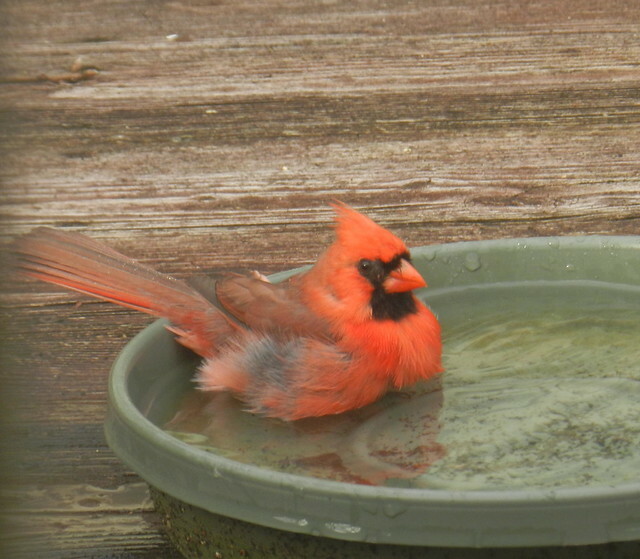 Below is Mr. Cardinal having a bath before it turned cold. I took the rest of the shots on Saturday. It was cold but sunny and knowing how low the temperatures are supposed to get Saturday night, I wanted to shoot flowers in my neighborhood before the risk of damage. I decided to go ahead and prepare this post on Saturday instead of waiting until after a Sunday walk like I usually do. During a walk to a nearby store, I took over a hundred shots. 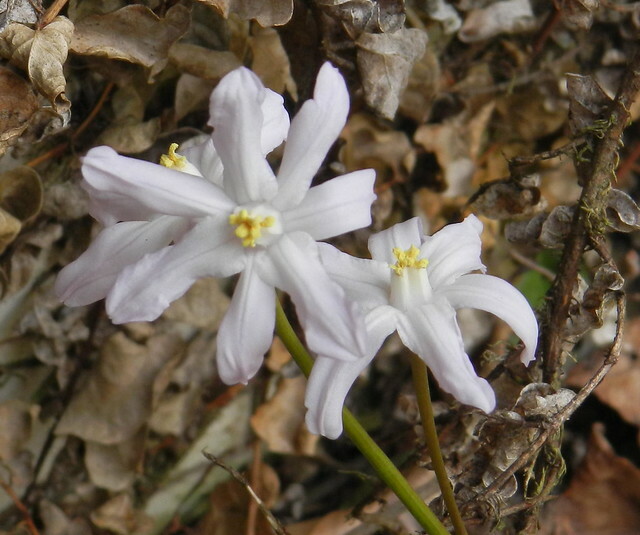 I may try to go out in my yard early tomorrow and see if I can capture frost on the flowers. Even this morning, a neighbor said he had to scrape the windshield on his truck because it was covered in ice. I slept in this morning and by the time I got out the frost was gone. 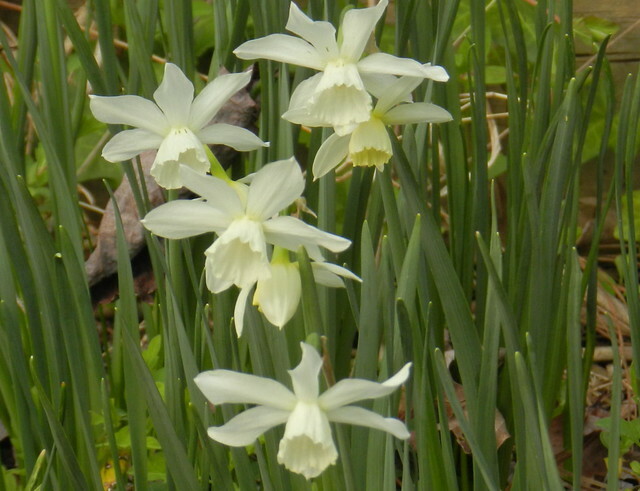 Most spring flowers do alright with a frost or two but my concern is tonight the temperatures are dropping way down before rebounding by Monday. This coming week is supposed to be wet and warm. Pretty much the same pattern as last week. It's been a long time since I've posted this many photographs at one time. I had trouble narrowing down which photographs to use. The last shot is a self portrait I caught by accident but the flower bed I photographed was washed out. 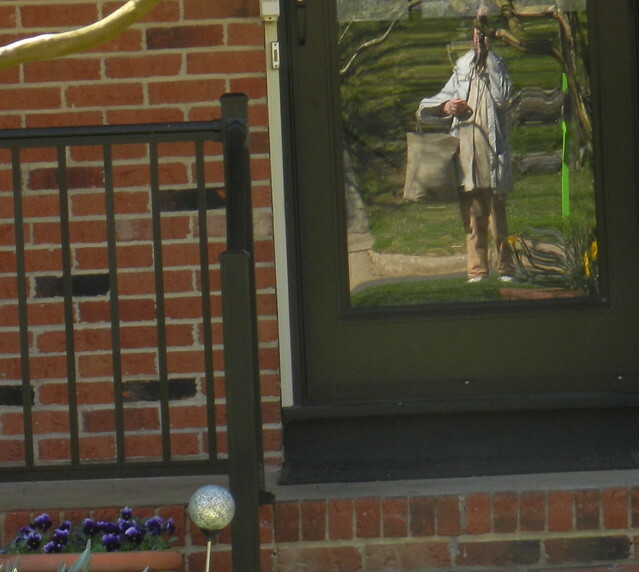 When I noticed my reflection in the door I cropped it out because it amused me that I captured my two heads. 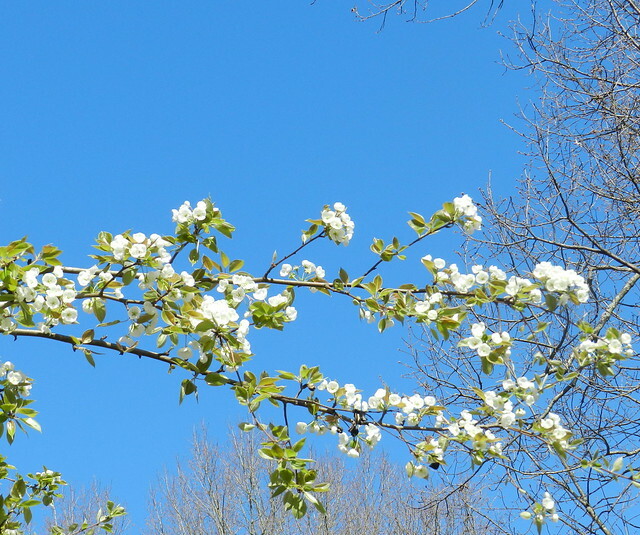 With all those blossoms and birds, it looks as though it is full out spring in your neck-of-the-woods so I hope the frost will be short lived. I like the wavy effect of your reflection and how it gave your self-portrait a nice artsy edge. Oh I love the birds and the flowers and the trees - and especially two heads. LOL Great photos for spring. Great shots! It is a nice reminder to us in the white north that better weather is one its way . 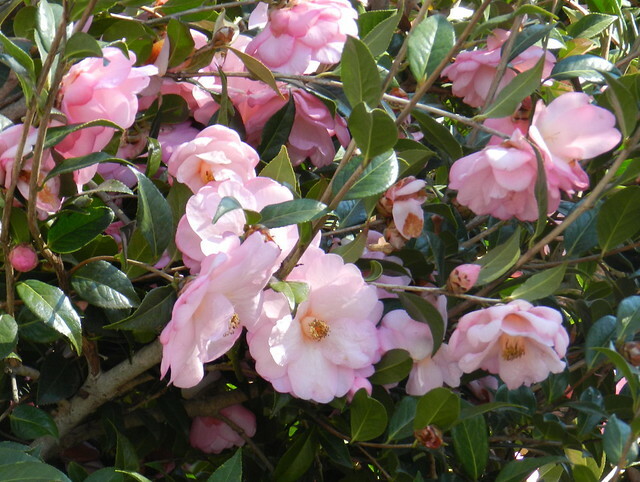 . .
Look at those happy spring pictures of the cheery flowers and birds! this post is full of joyful images. of course I love the flowers, but mr. cardinal is delightful too. 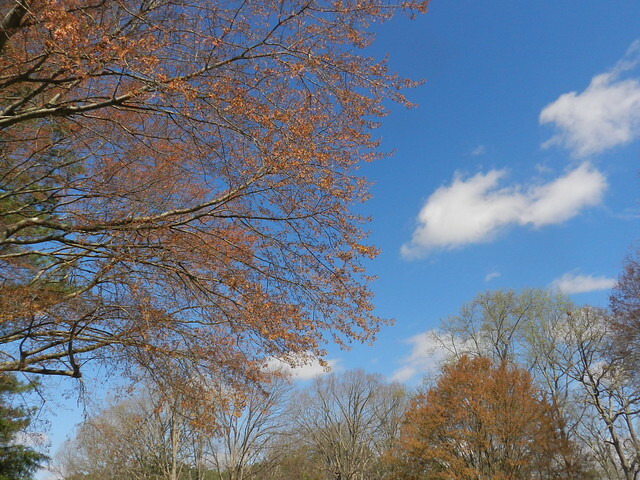 Its clearly spring with you - we have warm days and cool nights - perfect autumn weather! 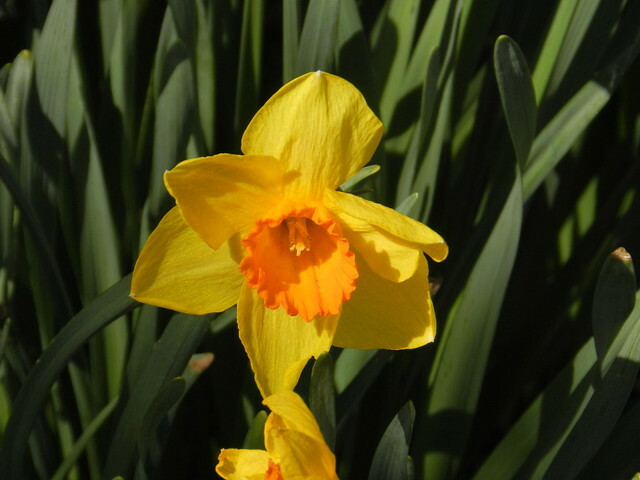 Lovely spring photos, the daffies and blossoms are beautiful. 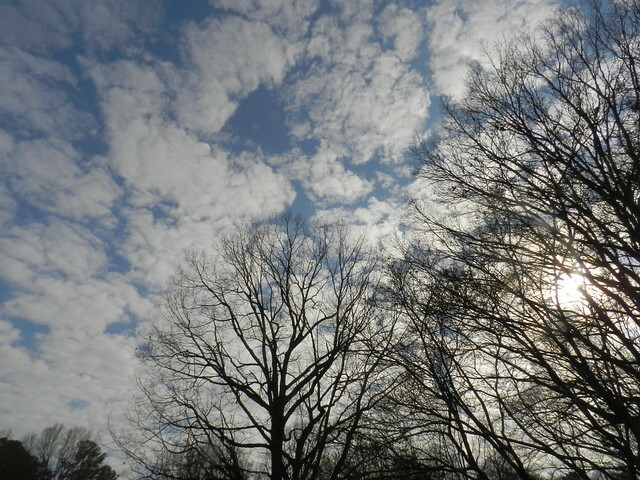 We are just starting to see shoots coming up from the ground.. Beautiful sky shots. Have a happy week Carver! 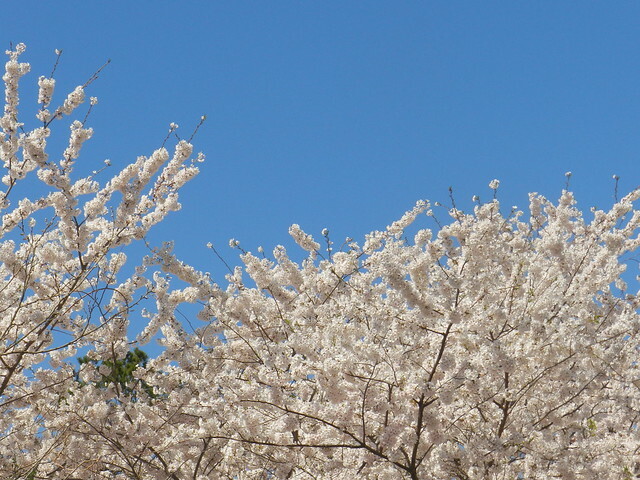 Sweet shots of the birds and lovely landscape photography of Spring too! Nothing beats the colors and blooms of Spring! 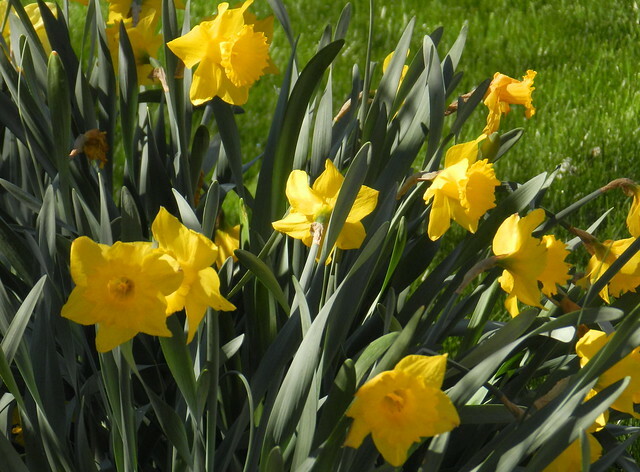 Spring is in full swing in your area. 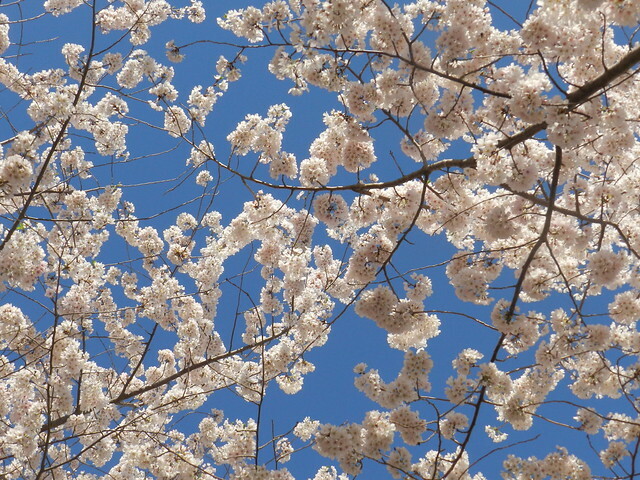 I can see why you would want to take so many photos of the gorgeous blossom and flowers. 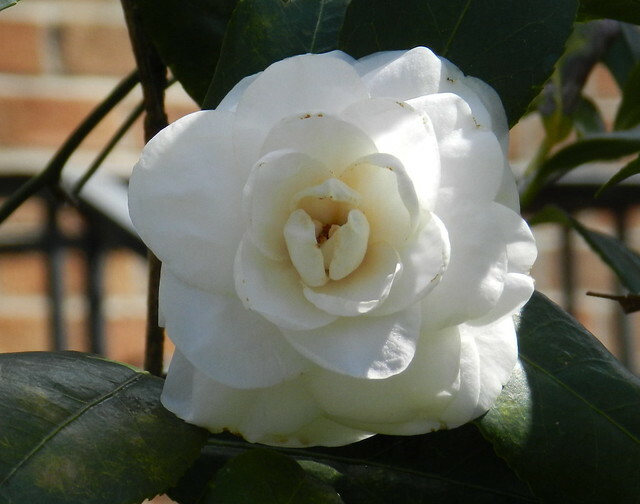 Beautiful look at the beginning of your glorious Spring!! Joyful images indeed!! Thank you, Carver, for sharing them with us!! Have a wonderful new week!! You have so much beauty around you, two heads probably still couldn't see it all. 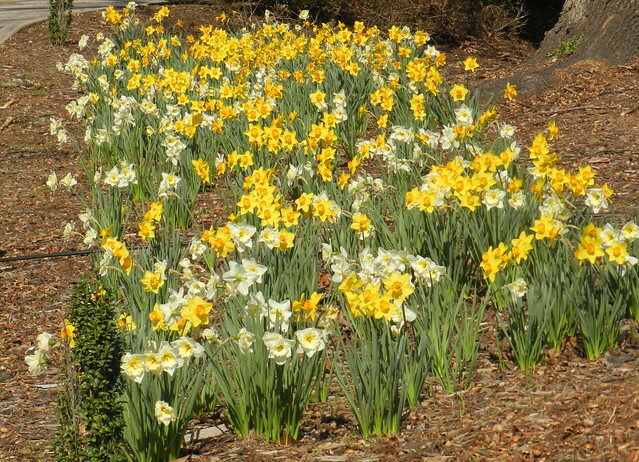 I hope the daffodils survive tonight! I can't get enough of them. We got the end of that cold here (chilly for here)... I had to dig out my jeans and a sweater again on Saturday. Warming back up now tho. 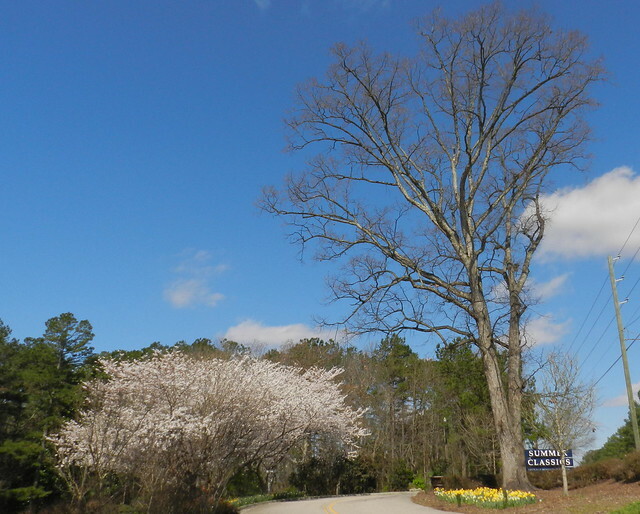 Oh how beautiful Carver, spring has really sprung for you! 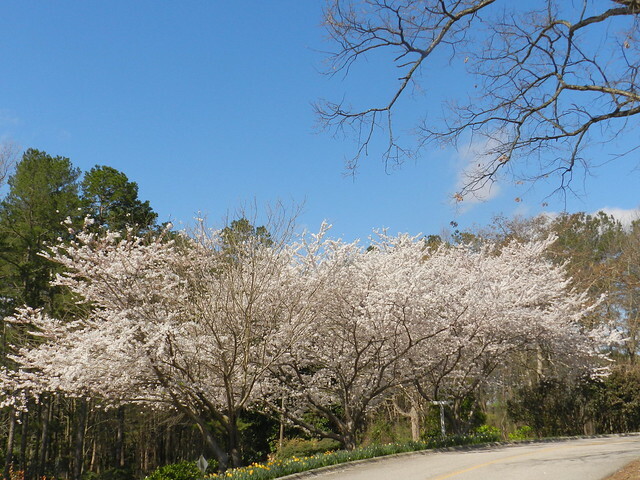 beautiful spring views in your world. not even a hint of buds here. in fact its snowing again. 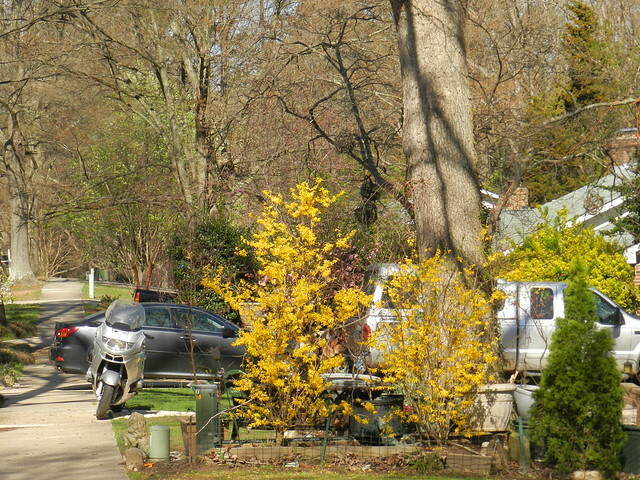 You have captured some wonderful spring colors! 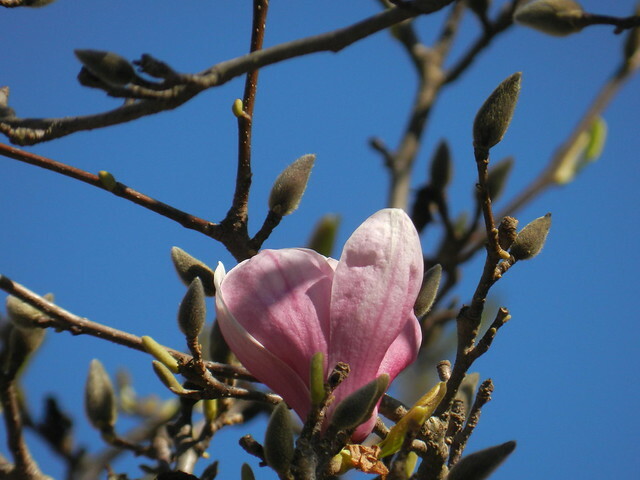 I like the magnolia and daffodils a lot. Beautiful birds, skies and flowers. Great selfie too! Birds are funny. Mr. Cardinal has very pretty color. Those flowers are wonderful. Very pleasing to the eyes. We have had an unusually wet and overcast winter which has made me ever more appreciative of the beautiful spring flowers and bright colors. Your photos are just beautiful.